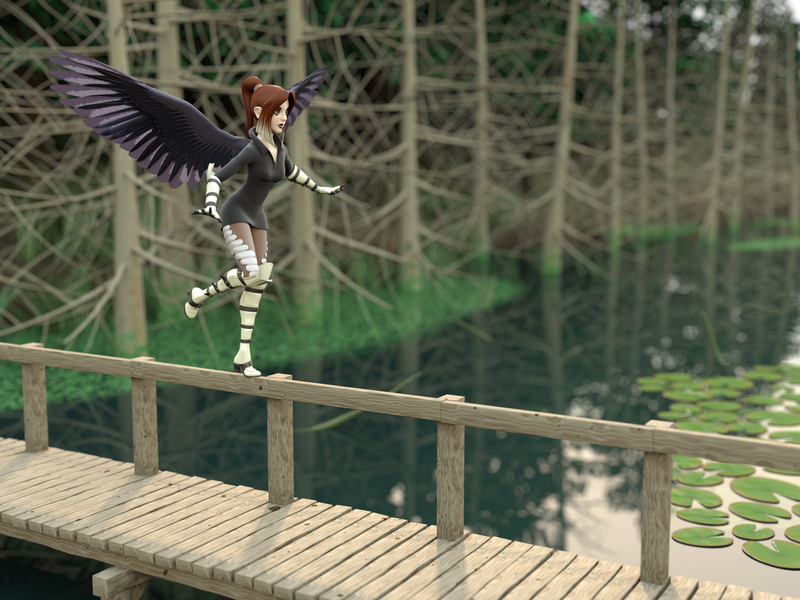 This is an old character model that I ended up getting stuck on modelling and rigging the wings. 9 years later, I finally finish, yay! Thankfully models don't decay after years of neglect. The environmentwas inspired by the swamps and boardwalks found up in British Columbia.